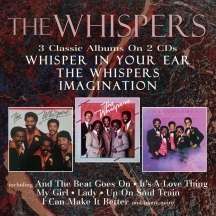 Three Whispers albums, "Whisper In Your Ear", "The Whispers" and "Imagination", on a double CD. The "Whisper In Your Ear" Album was originally released in 1979 on the Solar Label, and features the tracks 'Homemade Lovin'' and 'Can't Do Without Love', which is also included as a 7" version bonus track. 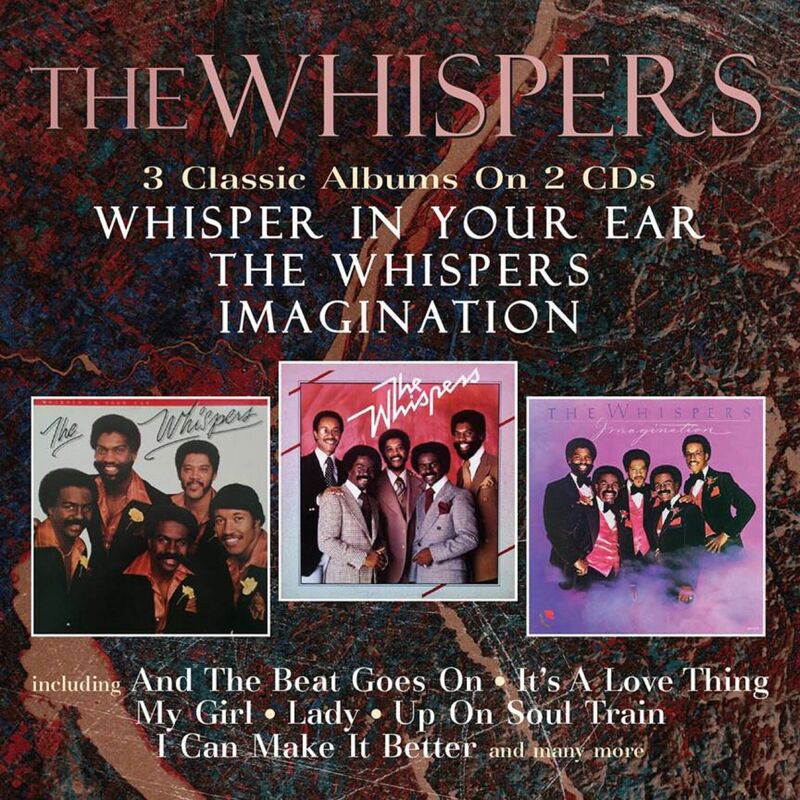 Following up the "Whisper In Your Ear" album was the 1980 "The Whispers", which included the worldwide smash hit 'And The Beat Goes On', topping the US R&B chart for an incredible five weeks. The album also made the US Top 20 Pop chart, and just missed topping the UK Pop Chart by reaching No. 2. 'And The Beat Goes On' was to become the Whispers' biggest hit and a disco anthem. Also featured on the album were the tracks 'Lady' and 'My Girl' which also charted big for the group. The album went platinum in America. The third album on this package is "Imagination", originally released in 1981 and certified Gold in America. The stand out tracks on this album are 'It's A Love Thing' (which was a Top Ten Hit on both sides of the Atlantic), 'I Can Make It Better', 'A Song For Donny' and 'Up On Soul Train'. This package features sleeve notes by Christian John Wikane, a New York based music journalist who interviewed Walter Scott of The Whispers for this release, who describes this exciting new phase of The Whispers career: "The early days of Solar Records were just incredible". Look out for "One For The Money", "Open Up Your Love" and "Headlights" which is also available on Robinsongs.